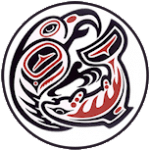 The Jamestown S’Klallam Tribe’s Finance department is responsible for all accounting functions of the Tribal government and clinics, including financial reporting, budgets, payroll, purchasing, disbursement, investment, and cash management. The department works extensively with Tribal citizens as we prepare all Elder gift checks, higher education payments, and other benefit type expenditures. External relationships include financial institutions, grantor agencies, and vendors.